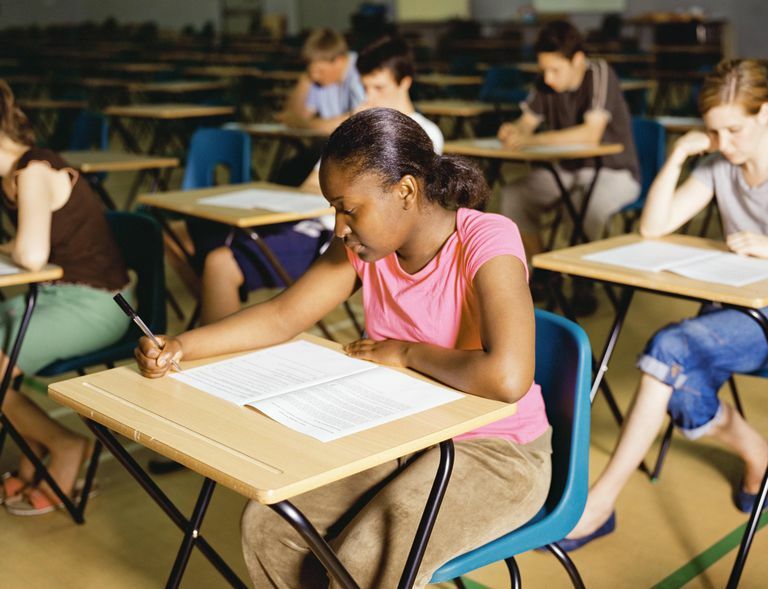 Regardless of your learning disability, you can improve your scores on multiple choice exams! It's true. While test preparation takes work, you can achieve as well as or even better than other students in your class if you follow these strategies. Is last minute studying effective? Read textbook assignments before they are discussed in class if possible. Take notes on the text in outline form, review them before class, and bring them with you to class. As the teacher discusses the material, highlight ideas that the teacher mentions that are in your notes. If your teacher mentions material that is not in the text, write it down in your notes. Review these notes right after class. If you have questions about anything you've written, talk about it with your teacher or a buddy from class to get the clarification you need. Arrange to meet with your teacher to discuss anything you missed. Get a buddy to share notes with you from that day. Ask your buddy to explain any ideas in the notes that you do not understand. Keep track of upcoming exams and tests on your calendar or on a planner. Schedule time to review all material that will be covered on the exam at least once at least once a week, every week before the test. In addition to the study tips above, there are some simple test-taking strategies that can help increase your chances of scoring well on this test. Be prepared with all the materials you will need for the test. Bring several sheets of notebook paper, two or three sharpened pencils, an extra eraser, a highlighter, and three working pens. Why so many? Having extra materials will save you valuable time should a pencil break or a pen stop working. If you are permitted to use other aides such as a calculator, make sure you have extra batteries, or use a calculator with solar power. When you first receive your test forms, quickly look through them to see how many questions there are. This will help you estimate about how much time you have to answer each question. Answer the easy multiple choice questions first. Work as quickly as you can on the easy questions without being careless. This is where the process gets tricky. Read the remaining answers. These answers are likely to be very similar. In fact, they all may be correct to some degree. One answer will be more right than the others. The correct answer will contain the most precise and complete facts. Teachers design tricky answers like these to determine how well you know the material. On items that require you to read a short passage and answer questions about it, read the questions first. Briefly reflect on what the questions are asking you. Read the passage, and return to the questions. If necessary, use the process of elimination above to narrow down your choices.